As the Canon top-of-the-line flash for the EOS-system, the Speedlite 580EX II takes the best features from existing models and adds functionality that enhances digital photography. A more powerful flash with a maximum guide number of 190' (58 m) at ISO 100 (at 105mm focal length), faster recycling, more consistent color and enhanced controls are among the improvements that all photographers, especially those who shoot digital, will find useful. 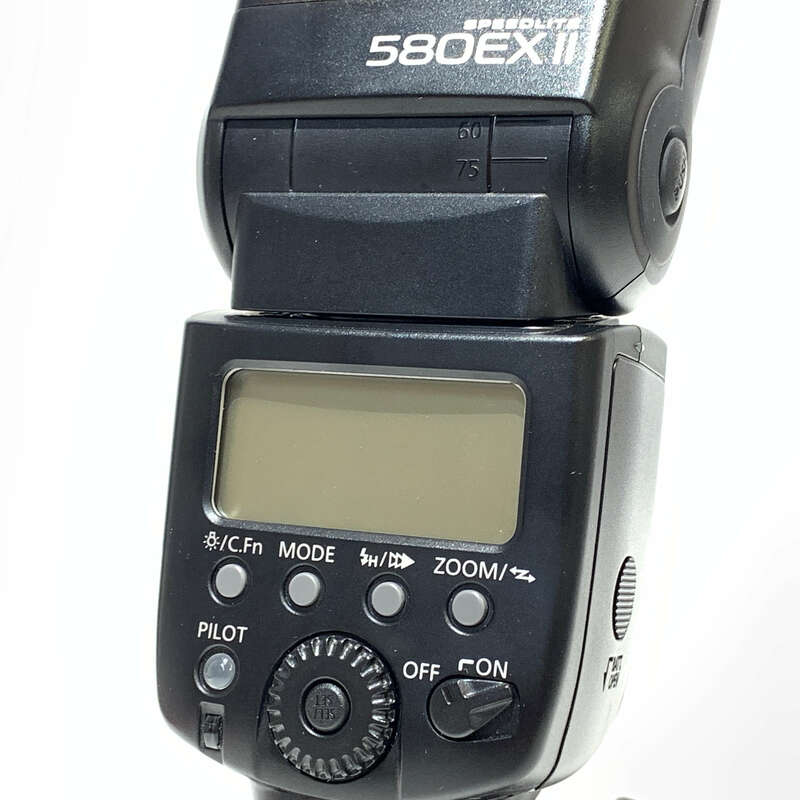 The 580EX version II offers several improvements over the original 580EX version. It has been redesigned to match with the EOS-1D Mark III in terms of improved dust- and water-resistance, body strength, and the ability to control flash functions and settings from the camera menu (EOS-1D Mark III only). 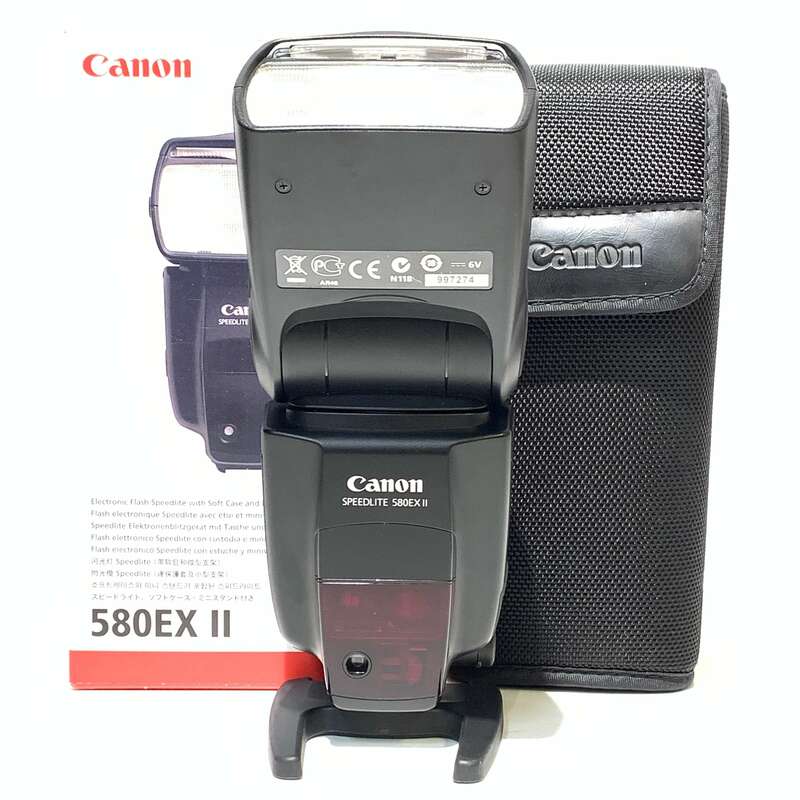 Other features include improved communication reliability through its direct contacts, a metal hot shoe, and recycling time is both 20% shorter than the 580EX and is completely inaudible. The flash supports all current versions of TTL, including evaluative E-TTL II. This is great for photographers that shoot high contrast or reflective subjects, like those encountered in wedding photography. Photographers can now capture every detail from the black of tuxedos to the white of wide smiles and wedding dresses. 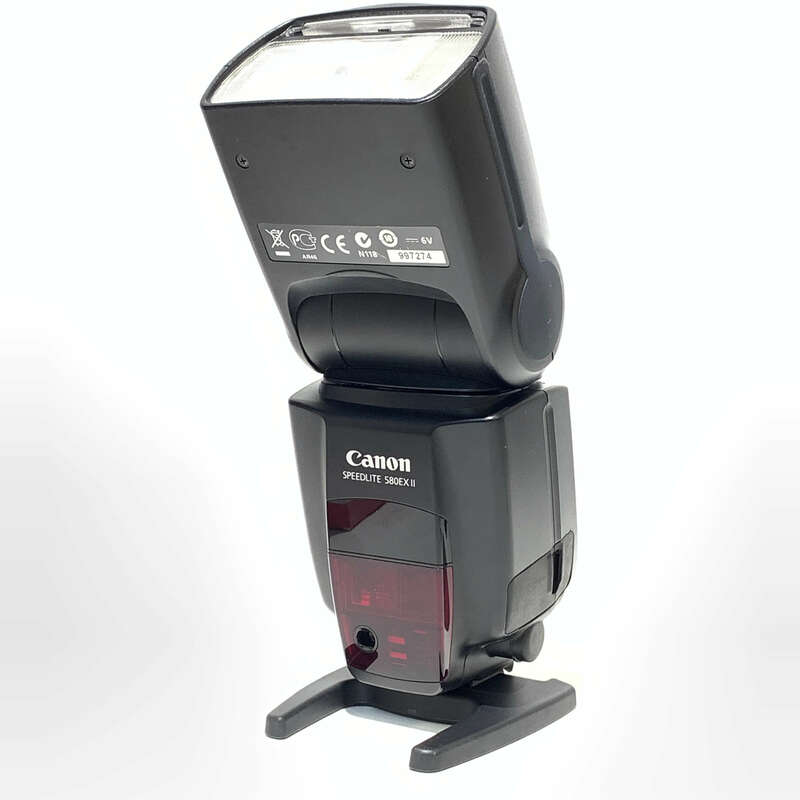 The Speedlite 580EX flash is compatible with Canon's E-TTL II (Evaluative Through The Lens) auto exposure technology. 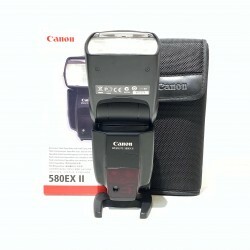 When combined with a compatible Canon camera (EOS-1D/s Mark II, Mark III, D-20, Elan 7N/E, or newer models) and compatible lens, E-TTL II utilizes subject distance and other information that automatically modifies flash power, resulting in accurate flash exposure regardless of subject size, reflectance, or photographic composition.